In the Listening section of the IELTS exam, you may need to write down a telephone number as an answer. This usually happens in the section 1 of the listening test. Writing down telephone numbers happens in real life which is why one of the answers in the listening section may be a phone number. 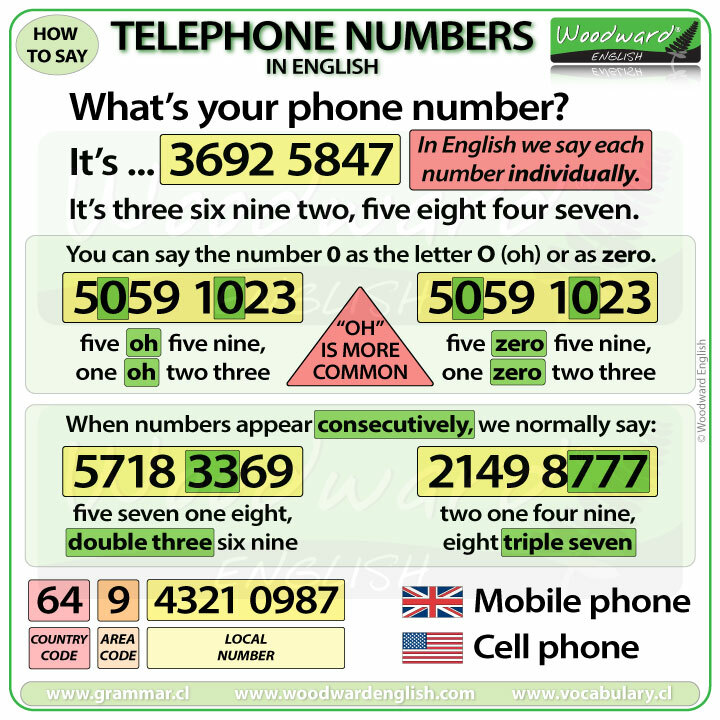 Saying phone numbers in English may be different from how you say them in your own language, so I recommend watching our video about how to say phones in English before beginning the practice test. The phone numbers you will hear in the IELTS listening test are not said slowly for English learners. No, you will hear them at the normal speed a native speaker would say them. Something to be aware of is that the number ZERO is normally pronounced as OH, just like the letter O. Also when TWO numbers appear consecutively, like two fives together, we normally say DOUBLE five. Something similar happens when THREE numbers appear consecutively, we normally say TRIPLE five. Don’t try to remember the whole phone number. You should try to write each number at the same time you are listening them. This IELTS video is to help you improve your listening skills regarding telephone numbers in English. You are going to hear 20 telephone numbers. Write down the phone numbers you hear in numbers, not words. I will give you the answers at the end of the listening.